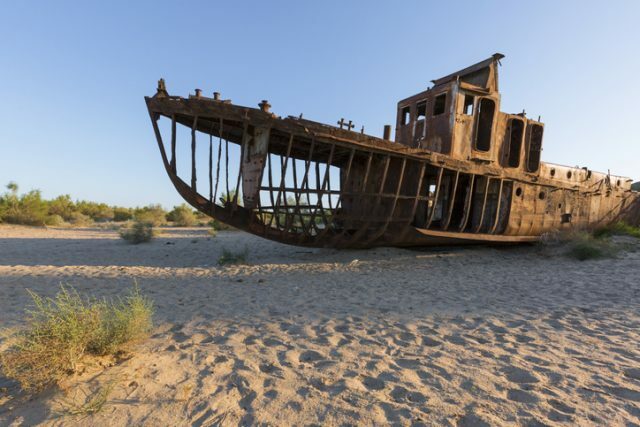 For the extreme tourist, if visiting the abandoned and still radioactive Chernobyl site in Ukraine is just too 2018, there is another, perhaps more disturbing destination appearing on certain to-do lists: Aralsk-7 on the mysterious island of Vozrozhdeniya in the Aral Sea, between Uzbekistan and Kazakhstan. This is the place where the Soviet Union tested its deadliest bio-weapons, from anthrax and typhus to new varieties of smallpox and the bubonic plague. It was officially closed in 1991 and all personnel evacuated within weeks. They left so quickly that some equipment was abandoned. The city where families lived is a ghost town. 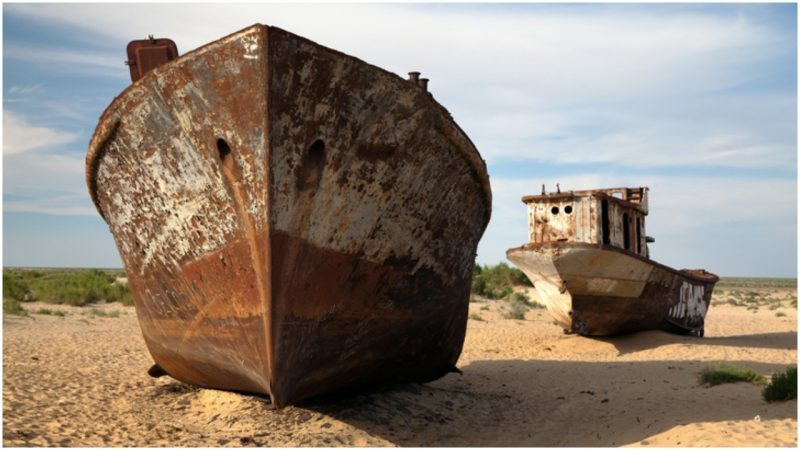 In 2005, author and documentarian Nick Middleton accompanied scrap looters from Kazakhstan on their trip to the island and published his story in The Guardian. 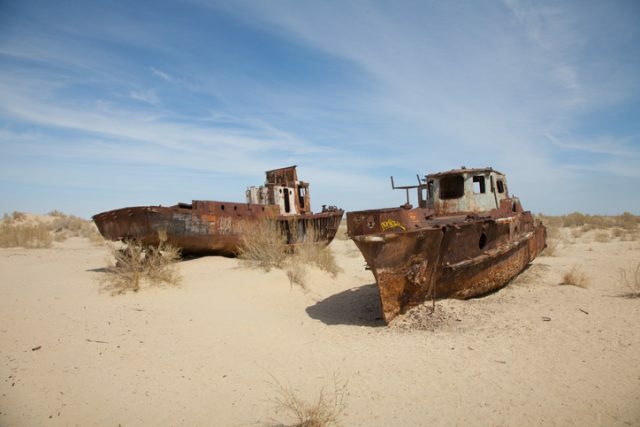 When the Soviets decided to test weapons there, Vozrozhdeniya had little vegetation due to its desert climate. The temperature in the summer reaches 140 degrees Fahrenheit. Taking no chances, Middleton wore a protective jumpsuit, rubberized overboots, and a face mask during his time on Vozrozhdeniya. 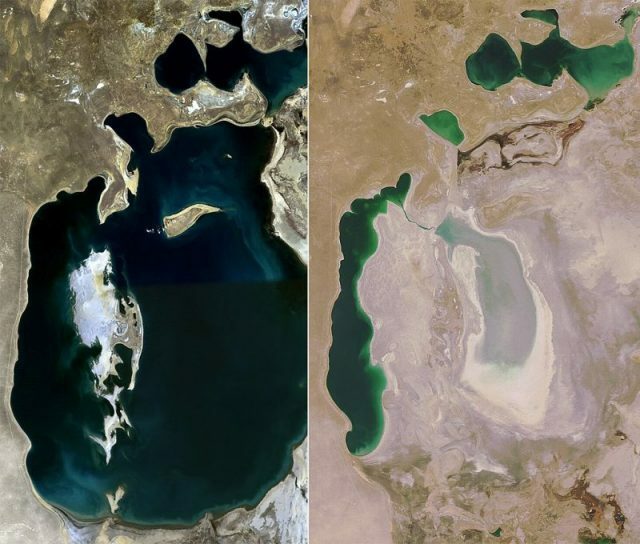 Before it was transformed into Aralsk-7, Vozrozhdeniya was, despite its climate, home to a fishing village fringed by turquoise lagoons. According to the BBC, Aralsk-7 was part of a Soviet bio-weapons program “on an industrial scale, one that employed over 50,000 people at 52 production facilities across the Soviet empire. 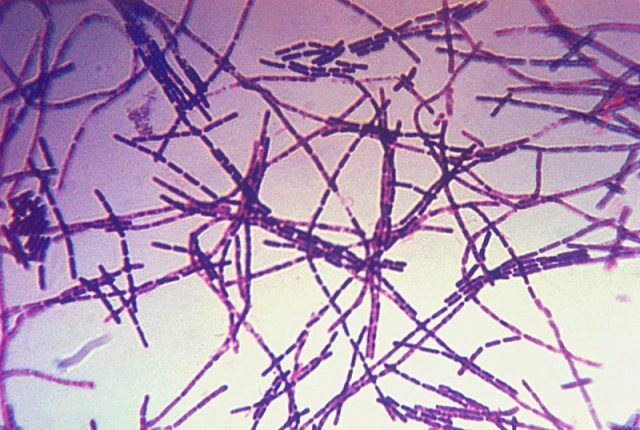 Anthrax was produced in huge fermenting vats, tenderly nurtured as though they were growing beer.” The CIA became aware that something serious was happening on the island in the 1960s, but not the extent. 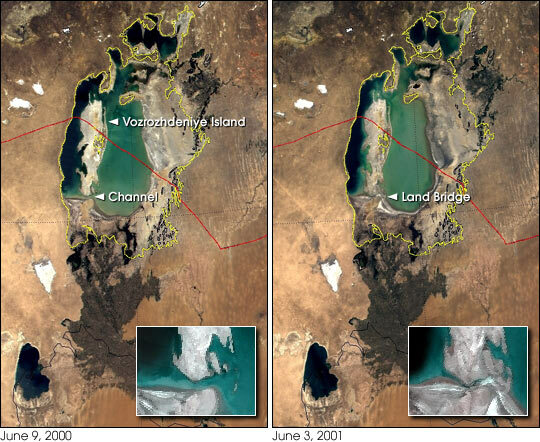 The island is no longer literally an island. 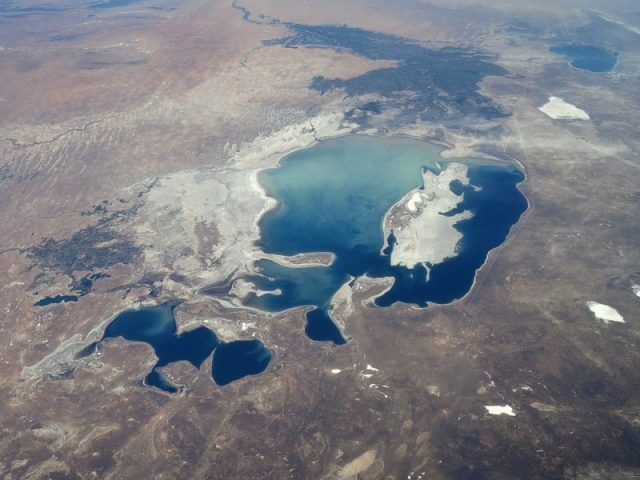 The surrounding Aral Sea dried up as the Soviet Union dammed its feeder rivers for agricultural projects; it is now connected by a land bridge. But that doesn’t mean it’s easy to reach. “It’s a 200-mile drive through the desert with no water resources or mobile phone coverage,” pointed out Ozy. There were definitely lethal accidents while it was still a bio-weapons testing zone. In 1971, a batch of weaponized smallpox was mistakenly released on the island and infected 10 people. Three of them died. In May 1988, reportedly 50,000 saiga antelope which had been grazing on a nearby steppe dropped dead within one hour. Other sinister deaths are rumored. 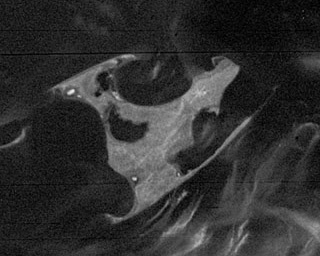 Rebirth Island joins the mainland in mid-2001. There was considerable concern about lingering dangers on the island after the Soviets left. Scientists from various nations have gone there to study the island. Reportedly in 2002, through a project organized and paid for by the U.S. with the assistance of Uzbekistan, more than six anthrax burial sites were decontaminated. Whether it is completely safe now is an open question.